SIE; blogging, video marketing, press service, social network publishing, advertising. 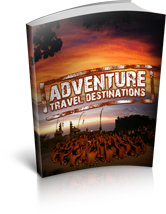 1. a short advertorial on Adventure-travel-destinations.com – Duration 1 year. Sign-up Now to Reserve Your Spot >>Click Here! Only a a few hotels, restaurants, car rentals, dive companies, sailing and tour operators are eligible. This opportunity is available by invitation to hotels and tourism operators that have subscribed to AXSES SocialIndexEngine Brand Marketing. For supplementary information please see http://www.slideshare.net/irclay/party-destinations. Sign-up now to reserve your spot!